Lipovich, Gustavo (2009). “The bilateral agreement between Argentina and the United States”. 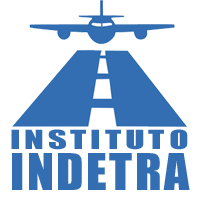 Journal of the Brazilian Air Transportation Research Society, Vol. 3, Issue 2. Sociedade Brasileira de Pesquisa em Transporte Aéreo. San Pablo, Brasil. (2007) 35-56. Abstract: The air transport supply between Argentina and the United States is characterized by being strongly disproportionate in favor of the American carriers. Nevertheless, the proportionality level has not been stable during the last 10 years, but has experienced numerous swings, although the tendency favors the American companies. The analysis of the constant renegotiation process of the bilateral agreement and the study of the main statistic variables were used to identify the causes of the supply disproportion. Finally, it is possible to argue that this process derived from abundant factors that took place during this period including: bilateral meetings and agreements, business strategies, regulations of air market protection, financial situations of the air carriers and other exogenous causes of variation in demand. The privatization of Argentine airports.